His eight CD’s to date bear witness to his flexibility and his productivity (with Adam Nussbaum, Barry Romberg, Bernie Senensky, Charlie Mariano, Chris Bacas, Christoph Haberer, Claudio Puntin, Howard Levy, Kenny Wheeler, Laurent Roy, Todd Isler, Marcio Doctor, Matthias Nadolny, Michal Cohen, Mick Goodrick, Paul McCandless, Pepe Berns, Ramesh Shotham, Rick Shadrach Lazar, Roland Schneider, Ted Poor, Thomas Alkier, Tim Hagans. Tim Wells, Volker Heinze , Jim Vivian, Ugonna Okegwo). 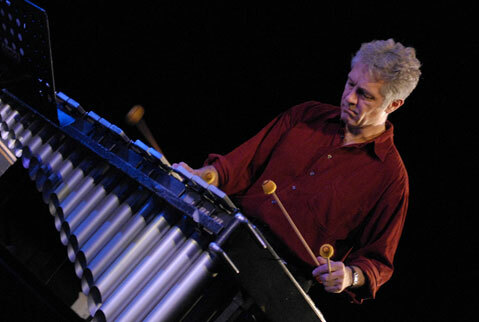 Aside from travelling his native Germany annually with his own ensembles, he had opportunities to tour in Africa, India, and West and Eastern Europe, often with drummer/conceptualist Christoph Haberer’s ‘Drümmele Maa’, with composer Klaus Koenig, and with his own formations. Festival appearances from Abidjan to Zürich, and during the Olympics in Seoul/South Korea in 1988.